George has been in the commercial real estate industry for twenty (20) years. George joined Cushman & Wakefield | CRESCO Real Estate as a Senior Sales Associate in 2003 and was promoted to Vice President in 2005 and Senior Vice President in 2010. Prior to joining CRESCO Real Estate, George spent seven (7) years with the Ostendorf-Morris Company, which became Colliers International. During his tenure, he initially was an intern with the Corporate Disposition Services Group, while attending Cleveland State University. Upon graduation, George spent a year with the Sherwin-Williams Co. as an Internal Auditor, during which time he was responsible for performing store audits in Indiana, Kansas, Michigan and Missouri. George came back to Ostendorf-Morris in 1997 as the Industrial Database Coordinator before joining the Industrial Services Group as a Sales Associate. He has been a consistent top producer as evident by receipt of his CCIM designation in 2005 and his SIOR designation in 2009. A Certified Commercial Investment Member (CCIM) is a recognized expert in the disciplines of commercial and investment real estate. The SIOR designation is a personal achievement for those individuals who are highly qualified commercial real estate practitioners with a strong transactional history in brokerage, fee-based services, or executive management. 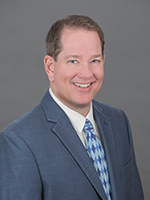 During his tenure, George has assisted both locally owned and national clients in all aspects of real estate, including property acquisitions, dispositions, valuations, leasing, lease termination, subleasing, land sales, build-to-suit transactions and various consulting services. George has successfully handled over 700 transactions in thirteen (13) states. 5185 RICHMOND RD 5185 Richmond Rd.